Today we celebrate and honor all the mothers around the globe. We recognise their distinct expression of sacrificial love and concern toward individual family. 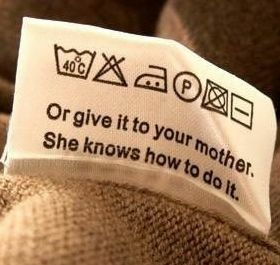 Thus let us give mothers credit for all mothers do! Mothers, you will always be in our minds and hearts! A treasure that cannot be bought or replaced! So HAPPY MOTHERS DAY today and everyday. Be in life what you want your kids to be when they grow up. I know everything before you say anything. It's called a mothers love. You cannot hide from me nor can you push me aside. This heart can take the push and even your toughest shove. No matter how bumpy the ride, but only a mothers love. Mothers shoulders are always there for children to take their weight. Being a Mother is a gift from God, a special gift that God puts into all Moms, a gift to love their kids and protect them even if it meant putting their own life at risk to make sure that there is no danger against their kid's! It is a trust from our Heavenly Father that he puts into every Mother, to look after his own's kids while they live on this earth! Mothers are artists, for anything they touch turns to art. Despite all the loving and caring relationships in the world, there is nothing more loving than the feel of my mother's hand on my forehead when I am sick. Mother! The only women whose sacrifices are bigger than her expectations, but still dreams for her child success and happiness. My mom told me angels are in heaven, so why is she on earth? A mother’s arms are more comforting than anyone else’s. Great mothers produce great children and she willingly takes over the responsibility of bringing up her children with discipline, courage, good behavior, education and a good citizen. All the children while being born are good and it is in the hands of the mothers that they turn into good or bad is a proverb. Mothers dedicate their whole life for the sake of the children, ignoring her pleasures. To quote Anne Lindbergh” “by and large, mothers and housewives are the only workers who do not have regular time off. They are the great vacationless class”. The value of mothers have been recognized by those who have held high positions like Abraham Lincoln who said,” All that I am or ever hope to be , I owe to my angel mother”. There are thousands of quotes on mothers and it is certain that there will scores more to come.